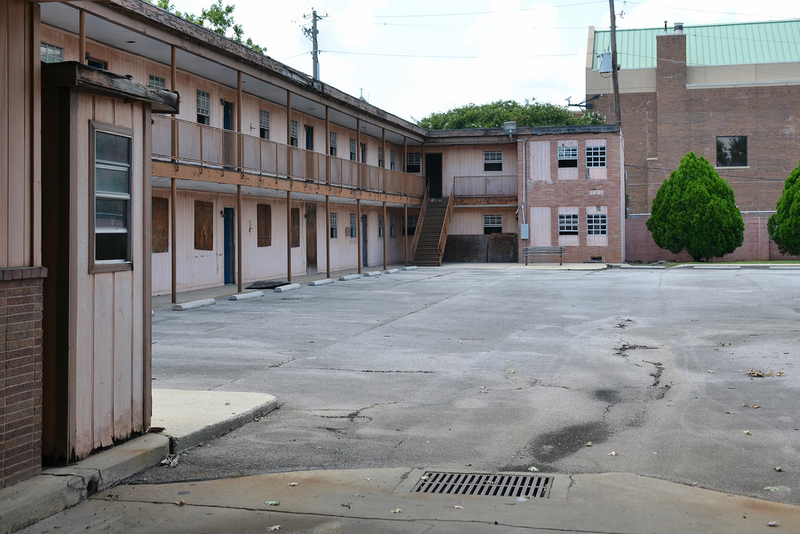 The A. G. Gaston Motel is a former motel located at 1510 5th Avenue North, now part of Birmingham’s “Civil Rights District”. It was constructed in 1954 by businessman A. G. Gaston to provide higher-class service to black visitors during the city’s decades of strictly-segregated business and recreation. It would become Dr. Martin Luther King Jr.’s headquarters for Birmingham’s “Project C” leading to the 1964 Civil Rights Act. A. G. Gaston struck upon the idea of building a motel while he and his wife visited Europe for an international Methodist conference in the summer of 1951. He heard that the National Baptist Convention’s Sunday School and Baptist Training Union Congress was considering Birmingham for its 1954 meeting. Knowing that African American visitors would have trouble finding adequate lodging, he set out to fill the need. 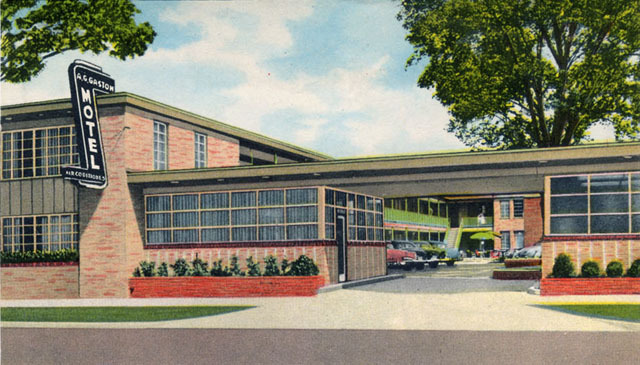 After his return he studied motels, especially the successful Holiday Inn chain, which served as a model for the Gaston Motel. The building was designed by Stanley Echols of the Brooke Burnham’s architectural firm and constructed by the Steel City Construction Company. Gaston exceeded the basic needs of travelers, embarking on “a real adventure in providing something fine that I believe will be appreciated by our people,” as he told a Birmingham News reporter. 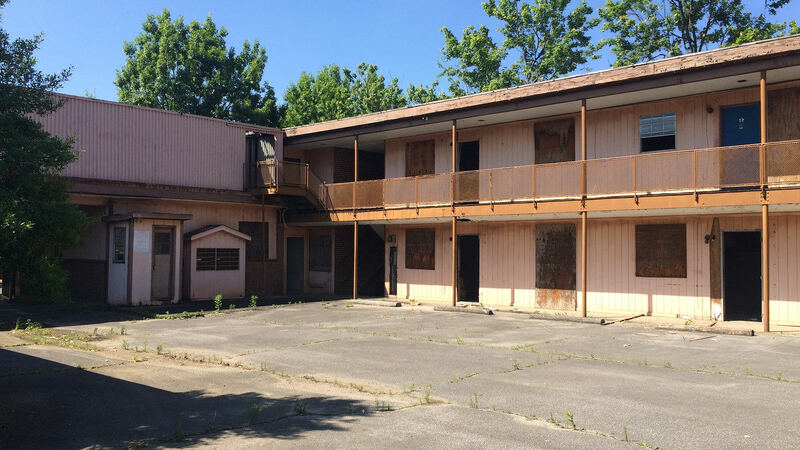 The Gaston Motel opened on June 30, 1954, just in time to host guests of the National Baptist Convention. The motel had 32 guest rooms, some of which were “master suites” which could sleep up to seven guests. All rooms were heated and air-conditioned with private baths, in-room telephones, and jukeboxes. The drapes and bedspreads were custom-made and high-end furnishings were purchased from Rhodes Caroll. The lounge regularly booked nationally-renowned entertainers, including Little Richard and Stevie Wonder. Notable guests at the Gaston Motel included Duke Ellington, Count Basie, Harry Belafonte, Johnny Mathis, Nat King Cole, Aretha Franklin and Jackie Robinson. Future Secretary of State Colin Powell spent his wedding night there with his bride Alma on August 25, 1962. 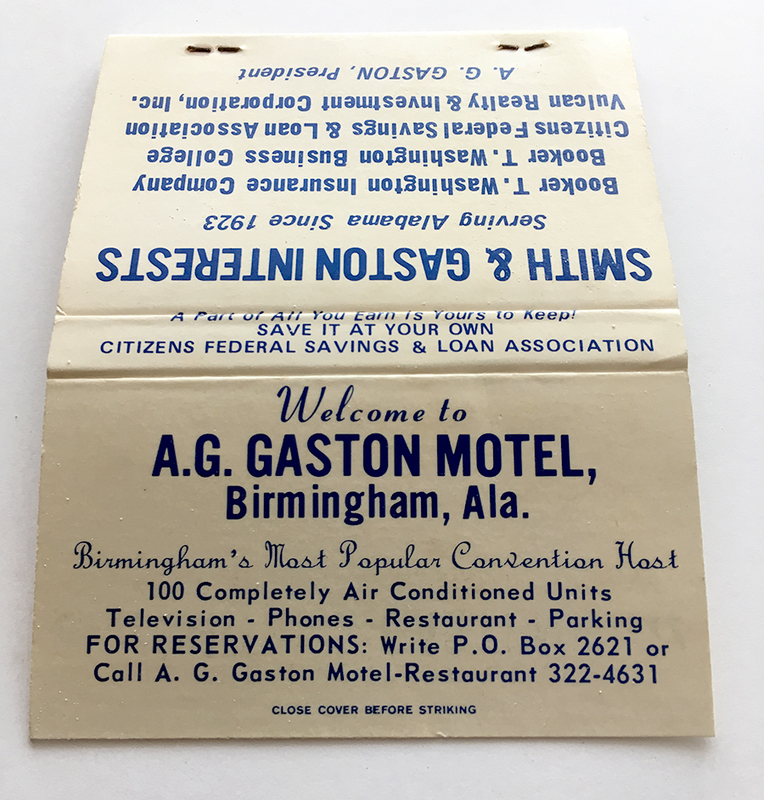 Because it was the city’s premier black establishment, the Gaston Motel hosted countless leaders in the Southern movement for Civil Rights as they met and traveled through Birmingham. Gaston himself, though he sought meaningful long-term improvement in the treatment of blacks, strongly disagreed with plans by Fred Shuttlesworth’s Alabama Christian Movement for Human Rights and the Southern Christian Leadership Conference to bring SCLC leaders to Birmingham to lead mass demonstrations. In return, some in the movement wanted to picket his motel along with the white businesses that wouldn’t hire or serve blacks. Nevertheless, Gaston often worked behind the scenes to assist with the movement and to negotiate with more moderate figures in the white business community. 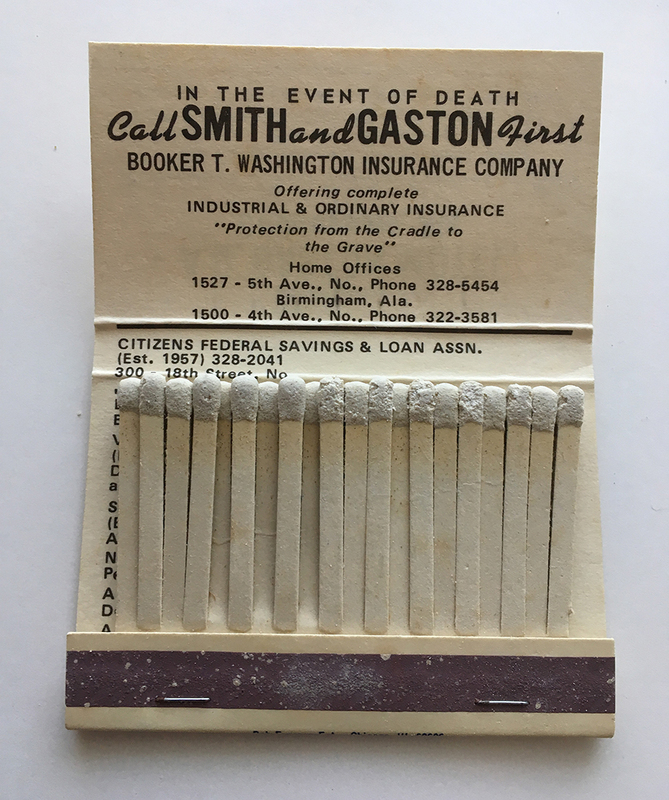 When Shuttlesworth did invite the SCLC leaders to the city to plan a Birmingham Campaign, they stayed and met at the Gaston Motel, even though Gaston insisted that the bill be made out to the local ACMHR. 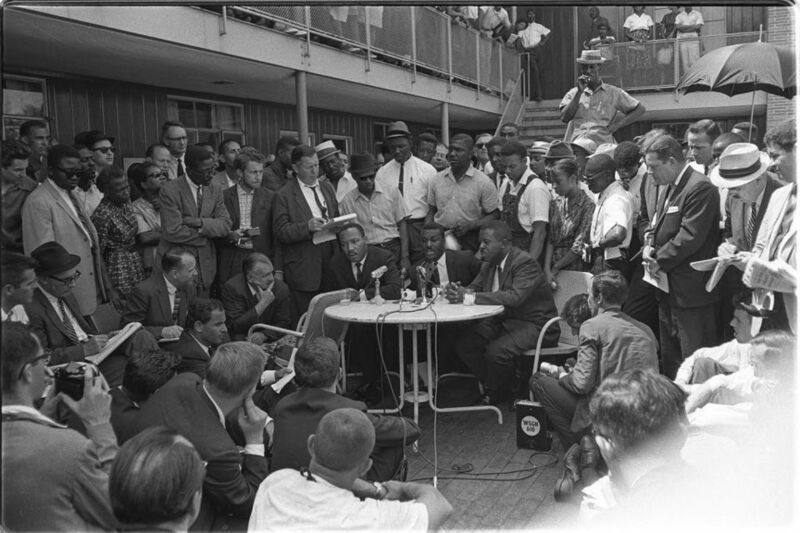 During the Spring of 1963 King stayed in room 30, which was used as a “war room” by the movement’s top leaders. It was there that he made the decision to defy a court’s injunction and submit himself to being jailed as a show of solidarity with local protesters. 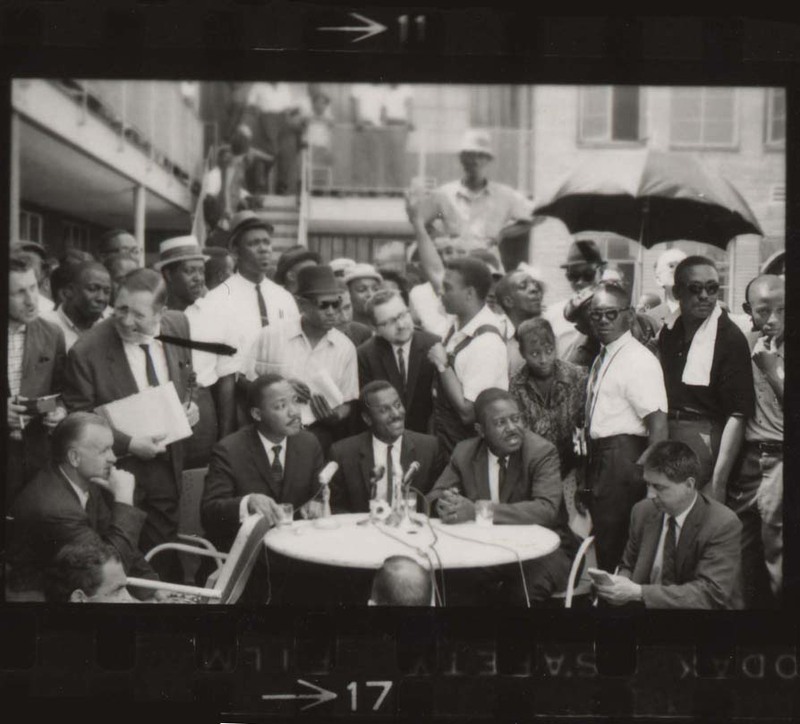 The “Letter from Birmingham Jail” he composed laid out his philosophy of racial justice and his commitment to using non-violent demonstrations to create a crisis that could only be resolved by positive change. 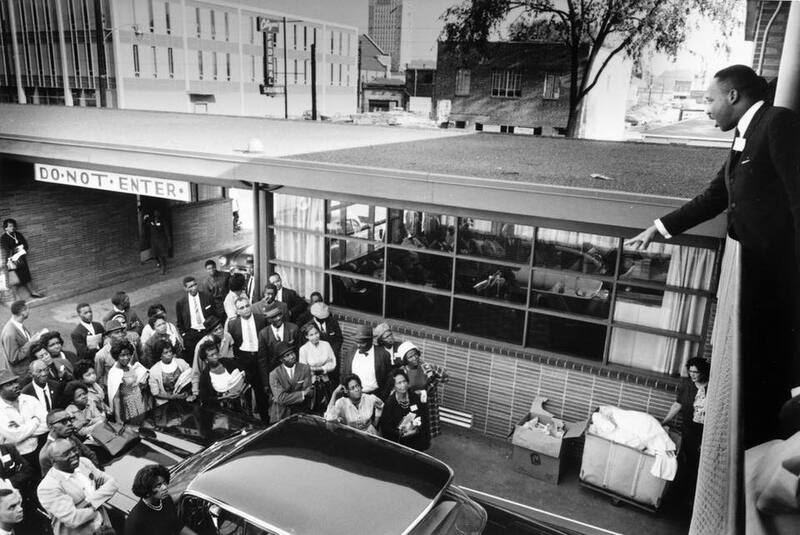 After a violent showdown with Public Safety Commissioner Bull Connor which triggered national outrage, it was at the Gaston Motel’s courtyard where King, Abernathy and an injured Fred Shuttlesworth announced the a truce with white business leaders and city officials. On May 12, two days after the truce was signed, a pair of bombs exploded near King’s room, destroying most of the motel’s facade.